I recently heard a leader within my organization give a great message on forgiveness. Pete Thompson shared four things forgiveness is and four which it is not. It was a simple yet profound message, always applicable to our lives. 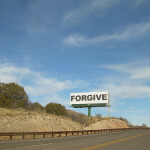 With the focus of NoSuperHeroes being grace, the topic of forgiveness is very closely linked. I’ll use his points and add my own commentary. Let’s start with the “nots”. 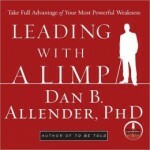 The preceding quotes come from Dan Allender’s Leading with a Limp: Take Full Advantage of Your Most Powerful Weakness.